In 2014, while working on a different book project, I realized that it was time to address a topic that I had been avoiding for quite some time, one that I had intended to examine but, due to the complexity involved, had so far avoided. 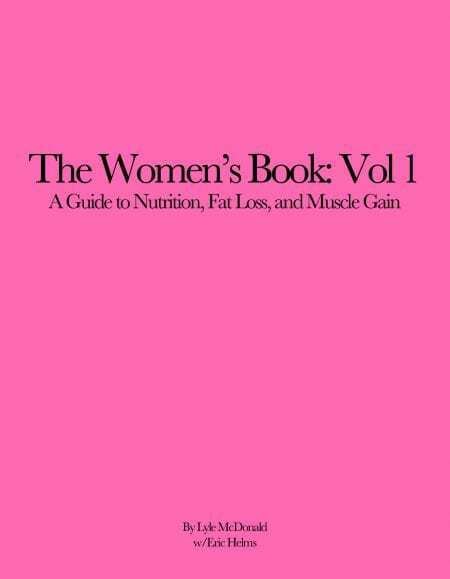 That topic was women’s physiology as it pertained to nutrition, fat loss, muscle gain and training. And it was time to finally address it. For almost the next 3 years I would dive into the research and physiology, realizing that the degree of complexity and the differences present between women and men were immense. The deeper I delved, the more differences I found and what I thought would end up being a fairly short book started to turn into a tome. The work was exhaustive and I’d end up having to pull out the training sections and divide the book into two volumes (Volume 2 will cover training and will be out, well….I don’t know when exactly). After all of that. After all of the research, and writing and editing (helped immensely by feedback from Eric Helms, who also contributed an appendix on peak week for physique athletes and making weight for weight class athletes), it was done. 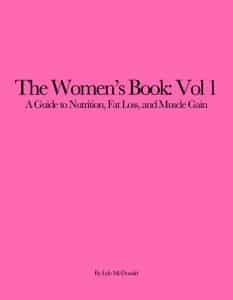 At a staggering 438 pages, containing over 850 scientific references, the Women’s Book Vol 1 covers virtually every possible topic relevant to women’s nutrition, diet, fat loss or muscle gain in detail. Background physiology on fuel use, fat storage and loss, stress, menstrual cycle function and more are all examined in detail. Many of these topics are discussed within the context of how women and men differ physiologically.